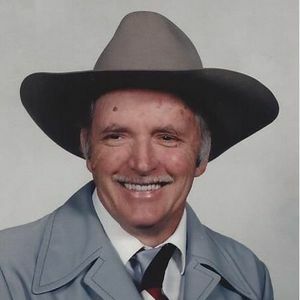 GREENVILLE-Manuel Lenard Crank, 89 of Greenville died Friday, August 14, 2015 at his residence, he was born June 8, 1926 in Olive Hill Ky. he was employed by Unaroyal Tire Co. as a machine operator and served in the United States Army during World War II. He was preceded in death by his wife Anna Lee Crank, parents; Donald Crank & Brooksie Crank, daughter; Becky Terry. He is survived by daughters; Venus (Jerl) Wester of South Carrollton, Wendy (Bobby) Brooks of Greenville, Monica Polinski of West Virginia, son; Veron Keith (Kathy) Crank of Sleepy Hollow Ill, 12 grandchildren,and 13 great-grandchildren. Funeral services will be Monday, August 17, 2015 at 2:00 PM at Tucker Funeral Home in Central City, with Rev Steve McElvain officiating. Burial will be in the Rose Hill Cemetery in Central City, Visitation will be Sunday after 5:00 PM at the funeral home. Online condolences may be made at www.tuckerfuneralhomes.com. The beautiful and interactive Eternal Tribute tells Manuel's life story the way it deserves to be told in words, pictures and video. So sorry for the loss of your father. Hold close all those beautiful memories. May our Lord hold all of you close and comfort your hearts.